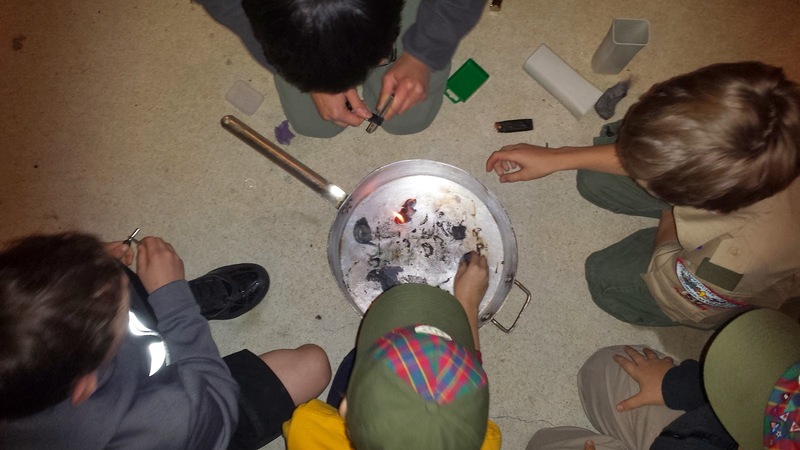 Boy Scout Troop 50 | Chattahoochee Council | Auburn, Ala. | #troop50: Something's burning! 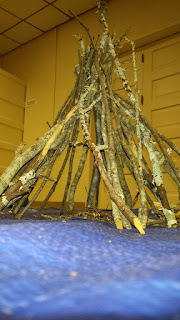 With the cold temperatures lately, it seemed appropriate that Troop 50 would spend its first meeting of the new year devoted to fire-building techniques — a perfect topic to include Webelos from Cub Scout Pack 29 who were visiting that evening. After the troop's opening, the group of Scouts and Webelos divided into groups that rotated between several stations. 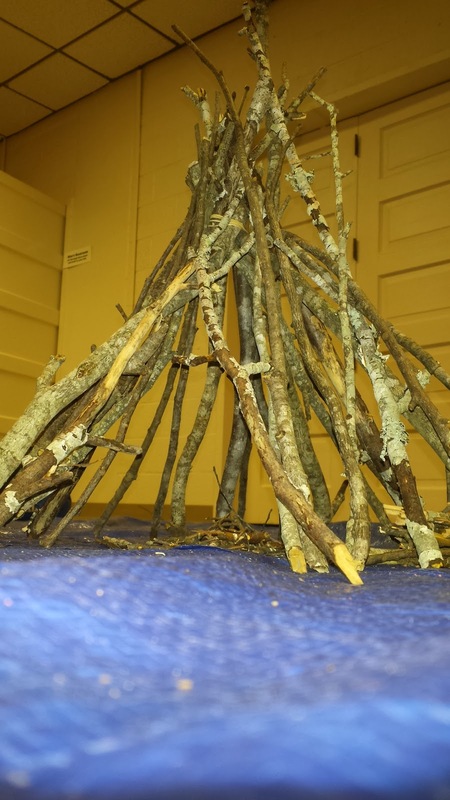 Inside, groups discussed different fire structures — such as tee-pee, log cabin and lean-to fires — as well as where best to locate a fire and how to extinguish it. Outside, Scouts and Webelos tried their hand at several fire-starting techniques. These included steel wool and a nine-volt battery, waterproof matches, disposable lighter, magnesium block, and the infamous Boy Scout Hot Spark. June 8-14, Camp Daniel Boone: A group of tenured Scouts will head to Daniel Boone Council's Camp Daniel Boone in Canton, N.C., where the group, under the direction of Assistant Scoutmasters Jason Smith and Keith Geiger, will participate in the camp's "Five Rivers in Five Days" older-Scout high-adventure program. The trip is $475 per participant, and there was one slot remaining as of Monday evening. July 6-12, Camp Woodruff: The majority of the troop's Scouts will travel to Blairsville, Ga., outside Atlanta to attend the Atlanta Area Council's Camp Woodruff. The camp features a strong first-year camper program, which allows new Scouts to not only make significant progress toward completing requirements toward ranks leading up to First Class, but also the opportunity to earn a couple of merit badges as well. The cost of summer camp is $350 per camper, and the contingent will be led by Rob Stanford, J.P. Pendleton, and Chartered Organization Representative Michael Tullier. A payment plan for both trips is available. For questions or to commit to either trip, contact Rob Stanford at troopcommittee@boyscout50.org. Rob Stanford also reviewed plans for the troop's upcoming Martin Luther King Jr. weekend ski trip to Gatlinburg, Tenn. Stay tuned for slope reports and photos coming next week! In the meantime, check out more photos from our Jan. 13 troop meeting in our online photo album.